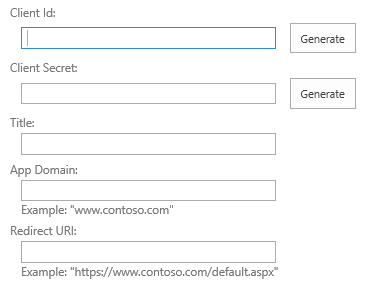 Today I would like to write a few words how we can use App permission in SharePoint online. This topic is very interesting as also very useful. It allows us to make a lot of things with our tenant without direct login in Office 365 login page. Do you remember my post about geolocation? When you take a look on the code you will see that I used user name and password with clear text. Of course it could be fine in some situation, but in general we should avoid this. So the question is what we can do? How to remove user name and password from our application? So it’s time to use our knowledge in real world. Let’s create simple console application. 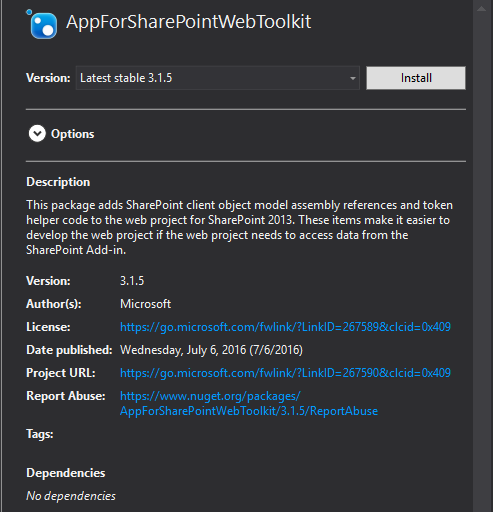 Next in the NuGet Package Manager we should look for something called AppForSharePointWebToolkit. Install it. As a result we will get clientContext, so then do whatever we want in our tenant.